Playing games during the World Refugee Day picnic at Warren's Hamlich Park. 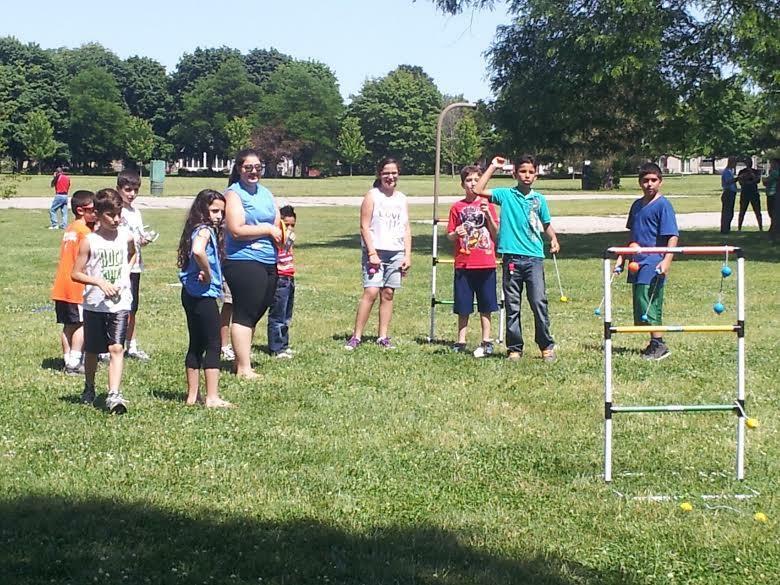 Hundreds of people gathered at a Warren park this past weekend for a picnic celebrating World Refugee Day--and the area’s growing refugee community. According to state data, of the 4658 refugees re-settled in Michigan last year, nearly three-quarters are from Iraq. And many of them have settled in Macomb County suburbs, particularly Sterling Heights and Warren. Christine Sauve is Southeast Communities Coordinator for the Welcoming Michigan Project, which helps new immigrants connect with native-born Americans in their communities. The group expects southeast Michigan to continue seeing “a steady stream” of refugees fleeing ongoing conflicts in the Middle East. Sauve says Michigan accepts about 6% of all refugees coming to the US. In addition to Iraqis, the state has absorbed smaller numbers of refugees from Myanmar, Bhutan, Somalia, and Congo. Refugees are often directed to areas where there are well-established service agencies to help them re-settle. In southeast Michigan’s Chaldean (Iraqi Christian) and larger Arab-American community, there are a number of agencies that have helped waves of refugees from the Middle East over many decades. Sauve says Macomb County’s Iraqi population really began to grow over the past decade. As community institutions and small businesses catering to that community have sprung up, it becomes an even more attractive destination for other Iraqi refugees. Refugee agencies are struggling to help growing numbers of displaced people around the world, especially in the Middle East and parts of sub-Saharan Africa. In a report released for World Refugee Day last week, the United Nations said the global refugee population recently surged past 50 million people for the first time since World War II. The number of refugees who have settled in Michigan has grown in recent years – and Governor Rick Snyder says more should be done to help them. At a town hall meeting at the Arab American National Museum in Dearborn, Snyder called on community leaders to help the state find ways to help refugees. 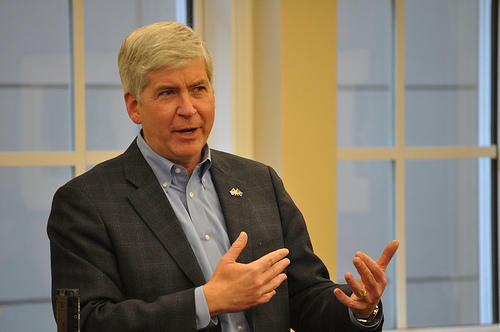 “It’s important that we find ways to help these people - they’ve gone through terrible circumstances – about making them feel welcome in our country,” Snyder told reporters after the town hall. The governor stopped short of offering any specific policy proposals to address the issue. Immigration groups say the number of refugees in Michigan has been climbing due in part to conflicts in the Middle East. Last year, some 8,100 refugees and asylum seekers fled their home countries and came to Michigan hoping to start a new life. Many of these people might have wanted to stay at home, but war and organized violence made it impossible, and the United States opened its doors to them. The World Health Organization estimates a full 50 percent of these refugees are suffering from mental illness. The doctors and therapists who work with these refugees believe that number is too low. What is life like for these wartime refugees and asylum seekers in Michigan? And what's being done to ease their transition into their new life and help treat these people as they suffer from psychiatric disabilities? Hussam Abdulkhalleq is the program supervisor at the ACCESS Psychosocial Rehabilitation Center in Dearborn, the largest Arab-American human services non-profit in the nation. He joined us today in the studio. As the city of Detroit seeks pathways back to economic health, small businesses are seen as a key. 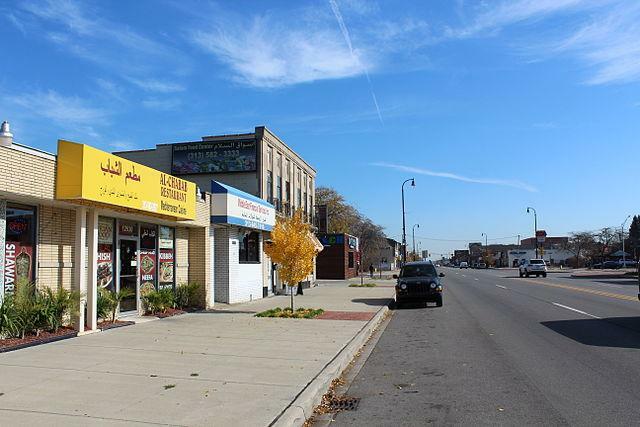 And there can be no conversation about small business owners in Detroit without involving the Arab-American community. Most of the grocery stores, convenience stores and gas stations in Detroit are owned by Arab-Americans. And, historically, the relationship between these store owners and their largely African-American customers has been not without its tensions. Which is why a recent editorial in The Arab American News caught our eye, and we wanted to share its message with you. We're joined now by Osama Siblani, the publisher of The Arab American News.